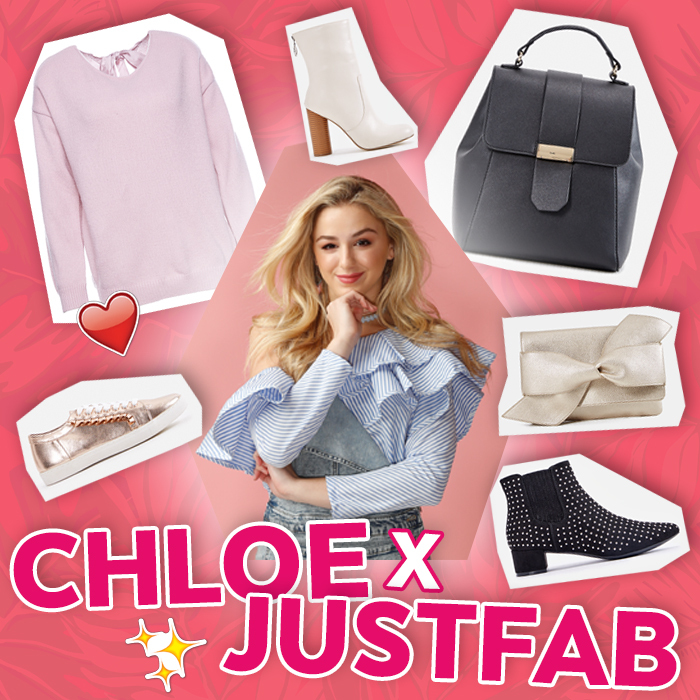 Get ready to look amazing all season long, because Chloe Lukasiak just released a totally fab holiday collection with JustFab! That's right, the actress and Dance Moms star unleashed her Home for The Holidays collection featuring super fashionable sweaters, sneakers, boots, skirts and more today and you better believe that we are already planning which pieces to wear to our next holiday party. On the collection, Chloe says, "I love that it has great casual and dressy options so I have something great to wear no matter where I’m going." Uh, same! And guess what? We're giving one lucky babe a chance to win a $100 JustFab gift card that they can use to snag all of Chloe's cute clothes. Want to win? Just click the enter button below! Don't want to wait to win? Shop the entire collection here right now. Which Home for The Holidays collection piece is your fave? How would you style it? Share below!